Santander Bank is a brick and mortar bank based in the Northeast of the United States. It offers competitive APYs on CDs and savings accounts as well as a full line of financial planning services. It was founded in 1902 as Sovereign Bank and rebranded as Santander in October, 2013.
Who is Santander Bank Best For? Santander Bank is a good choice for anyone who is looking for a brick-and-mortar experience with a wide range of banking options like checking, savings, CDs, and loans. Learn more about each type of account Santander offers below. Santander bank has four different types of checking accounts. They range from a no-fee student account to an interest-bearing checking account for consumers with high deposits. Although the Santander Premier Plus Checking account does bear interest, it is only at the rate of .01%, which is not competitive even among interest-bearing checking accounts at other brick-and-mortar banks. But with free ATMs (even out of network), debit cards with higher spending limits, and priority service, this account can still be a good deal if those perks are a good fit for you. Santander Bank offers four different types of savings and money market accounts. All money market and savings accounts at Santander Bank are FDIC insured up to the minimum of $250,000 per depositor, per institution. If you have more than $10,000 to put into savings, then the Santander Money Market accounts are competitive in what they pay in interest. If you are a smaller saver and don’t mind banking with an online bank, you can earn 40 to 100 times the interest rate that the current Santander Savings Account is offering at many online-only banks. However, it is easy to avoid fees on all the savings accounts at Santander. They have minimal requirements that are easy to meet, such as having an active checking account. Santander Bank has competitive interest rates on their CDs (see chart), and relatively low deposit requirements. You can begin with as little as $500. They also have a flexible payment option for the interest – you can keep it in your CD account or transfer it to a money market, savings, or checking account. They also provide a very nice CD calculator that can tell you exactly how much money you’ll have when your CD comes due. You can find that here. Just click the link and enter the details of your CD. Unless IRAs are kept in bank CDs or traditional savings accounts, they are not FDIC insured and can lose money if they are invested in the market or other investment vehicles. It’s important to do your due diligence. It’s never wise to overdraft your account in the first place, and you can do this by tracking your spending and setting up alerts on your account. But if you do overdraft your account, Santander offers several different overdraft protection options. 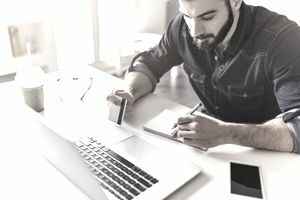 If you choose the “all bank overdraft protection from Santander bank,” then debit card purchases will probably not be declined if you don’t have enough money in your account – this can allow you to overspend and make it hard to catch up. Santander bank offers three different lines of credit: Home Equity, Personal, and Overdraft. Lines of credit are reusable as you pay them down – much like a credit card is. Approval and interest rates vary depending on income, credit-worthiness, and whether you have equity in a house. Most of the time lines of credit have lower interest rates than credit cards and can be a good choice for consolidating debt, making home improvements, or dealing with an emergency. Santander bank offers personal loans from $5,000 to $50,000. As with all loans, approval and interest rates vary depending on income and credit-worthiness. Rates start at just 6.99% and can be used to pay down credit cards, pay for medical expenses, or pay for other large, one-time events like a wedding. It’s wise to set up automatic payments with your Santander Bank checking, because then you can get an extra discount on your loan rate. Like most banks of its size, Santander Bank offers an array of mortgage options. Mortgage rates vary depending on credit-worthiness and income. Fixed Rate Mortgage This type of mortgage will give you steady rates over the entire length of the loan. It's best for people who prefer stability. Fixed-rate mortgages are a very competitive market. Shoppping around for the best rates is a good idea. Adjustable Rate Mortgage Pay less upfront and then more in a few years. Best for people who plan on having good income growth or are planning on moving. These types of mortgages can look very appealing. But if the economy goes into a downturn or the extra income doesn't materialize, then they can cause major financial hardship. FHA/VA Loans Best for people who are living in a house as their primary residence, and who need low down payment amounts. FHA loans are available to the general public. VA loans are available to qualified active duty service members, reservists, and veterans. For most people, FHA and VA loans are a good deal. However, if you have a significant amount of money to put down on a mortgage you may get better terms with a fixed rate mortgage. Santander Bank offers a full line of investment services for their customers including retirement planning, college planning, and managed accounts. Investment services are not covered by FDIC insurance and you can lose money on investments. Always do your due diligence with any investments you make. Santander Bank offers three main credit cards, all of which have cash back or rewards. Santander Ultimate Cash Back Unlimited 1.5% Cash Back $0 16.47% to 25.74% Best for people who love getting cash back on their purchases. If you pay off your balances every month on a credit card and can avoid interest in this way, then all these cards carry great rewards. If you’re more likely to carry a balance however, then a line of credit will often offer a lower rate. To open an account, visit SantanderBank.com, navigate to any account page and click one of the "Open Now" buttons. You will need funds for the account, your social security number, a valid email address, and a government issued ID. You can also visit a local branch with the same information. Find the closest one using their online branch locator. Santander Bank has several options for customer service. You can call the bank at (877)768-2265 between 6 AM and 10 PM, email them through the link on this page, or visit one of the bank branches. Customer service reps are easy to get on the phone and give Santander a personal touch. Santander Bank has approximately $57.5 billion in deposits and employs around 9,800 people. It’s been around since 1902, when it was known as Sovereign Bank. Santander has a large corporate program to benefit the communities they serve through charitable giving, volunteering, and community service. These initiatives also include initiatives supporting STEM education and a financial education website. Santander Bank also offers state-of-the-art biometric security on their mobile app as well as a robust online interface. Consumers can set up a variety of banking alerts through the mobile app as well as check their balances and activate both credit and debit cards. While the only truly free accounts Santander Bank offers are student checking and savings accounts, most of the other monthly maintenance fees are on the low side and have easy requirements to avoid. Our favorite is the Simply Right checking, which only requires that you use the account every month to get the $10 monthly fee waived. Santander Bank also offers competitive interest rates on savings accounts with deposits higher than $10,000 and CDs. Like most brick-and-mortar banks, Santander’s interest rates on checking accounts and deposits under $10,000 for savings are not great. You can get much better rates on checking and savings accounts at online-only banks like Bank5 Connect, which is offering a .76% APY on checking accounts with just a $100 deposit as of the time of this writing. If you want a local bank and live in the Northeast, then Santander is a good choice. If you are looking for higher yields, you may want to look into an online-only bank. Should I Use My Bank's Brokerage Services?